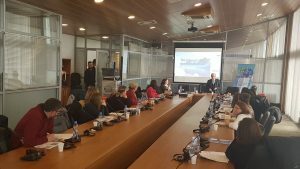 On 23rd of January 2019, Kosovo Erasmus+ Office in cooperation with EU office in Kosovo and Ministry of Education, Science and Technology, organized the Technical Assistance Mission (TAM) “Development and Quality Assurance of Joint Programmes at HEIs in Kosovo”, which took place at the MESTK premises. This topic has been selected as it is very important for Higher Education development in Kosovo. 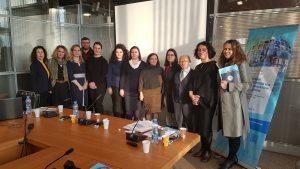 The objective of this activity was to provide participants who are representing Kosovo HERE team and HEIs in Kosovo with some effective strategies and technical expertise for development and quality assurance of joint programmes in Kosovo. 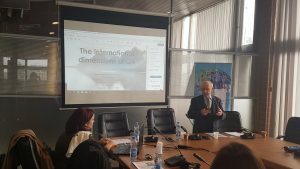 The International expert, prof. Lucien Bollaert presented an overview of what other HEIs in other HE systems achieved and what have been the implications including the best-practice example in a form of case-study from any EU countries related to development and quality assurance of joint programmes. The target groups of this seminar were Higher Education Reform Experts and Higher Education Institutions academic staff.